Hi friends! 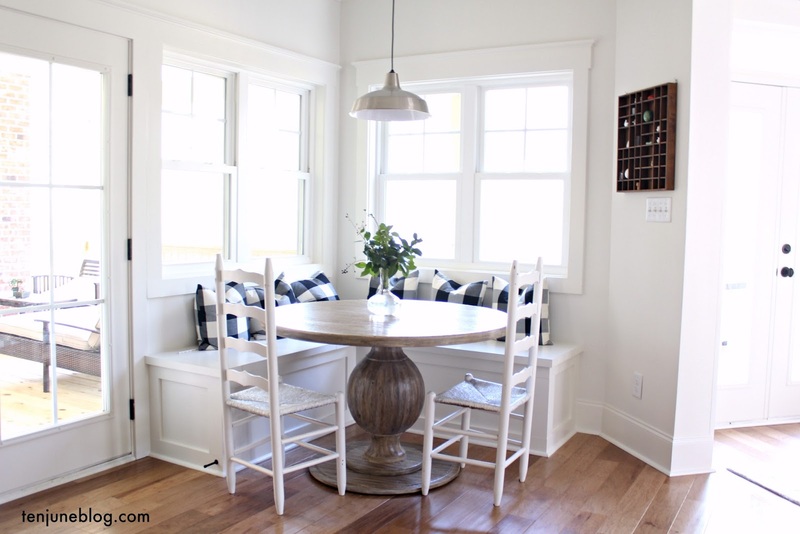 I'm so glad you guys like my newly painted dining room makeover... I agree with that gray, like, a lot. Get it? "Agreeable Gray?" I'm so punny. It's the first of many changes going on around our little rental house... cough, cough... nursery makeover anyone?! Be sure to check out some sneak peeks over on my Instagram (@tenjuneblog). Now that I'm officially three days into my new life as a stay-at-home mom... or more of a work part-time from home mom... I've decided that it's time to step up my Susie Homemaker skills. Since we've been married, mine and David's house cleaning strategy has been: oh crap, someone is coming over and our house is a mess, let's clean for the next two hours straight. Sound familiar? But now, I'm getting to be super pregnant and about to have a teeny tiny baby monopolizing most of my time. Neither of those circumstances are exactly conducive to marathon cleaning sessions. We were blessed with some extra help cleaning house when HDawg was a newborn, but a house keeper just isn't in our budget right now. So, I decided to map out a strategy for me (and David) to clean our house on a daily basis. With a caveat: clean on a daily basis, but only during the week days. Momma doesn't want to clean on the weekends. So, I racked my little brain, took some notes, organized my thoughts and decided on a schedule. Basically, I have a list of "daily" cleaning to-do's. 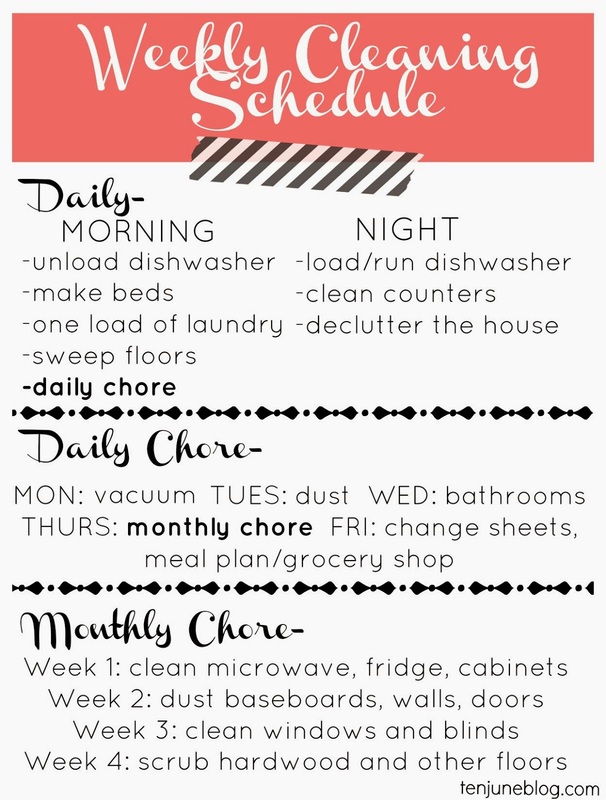 This daily list includes one separate chore- the "daily chore" for each week day. One of those week days is for performing a "monthly chore." Am I making sense? Let me just show you! Oh yes, I made a list. And typed it up. And made it look cute. Then printed it out. And taped it in my planner. Then realized I misspelled "vacuum." Oops. But it's a great list, right?! Because I love you guys so much, I made you a downloadable PDF version! And I even corrected the spelling of "vacuum!" Boom-shocka-locka. 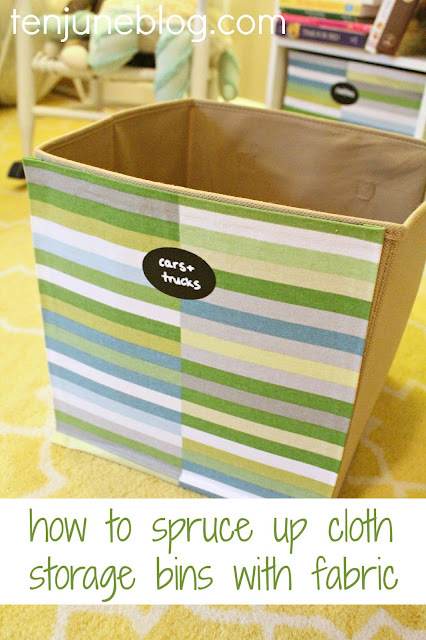 Thanks for the cute printable...it just makes me want to clean! Thanks for the printable! I have a confession....I am bad bad bad about daily cleaning. Lol. I mean..the obvious daily necessities...no. No dishes in sink, wipe down counters...no problem. But I generally do a big clean once a week. I would like to get better at breaking it up through out the week. Fingers crossed! I love this!! I recently added a "loose" cleaning schedule to my planner. Living alone I don't create too much of a mess but I hate that feeling of "crap someone is coming better clean!". Fingers crossed I can stick to the schedule. You read my mind! I was just googling "weekly cleaning schedules" yesterday. I like how manageable yours is. A lot of the weekly cleaning schedules I found added up to a few hours of cleaning per day, and don't take Saturdays off, which is little too ambitious for me. I think I may actually be able to stick to this one! Good thinking, Michelle! 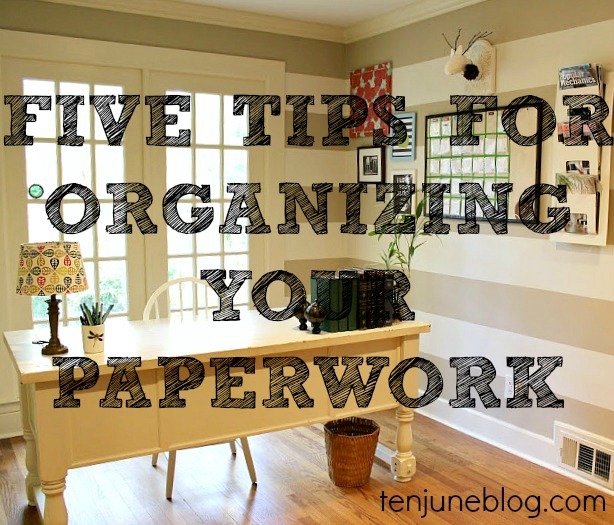 I did something similar when I was a SAHM and it works pretty well to keep a lid on things. Now we have a gal that cleans for us every two weeks and I keep up with the smaller tasks in between -- works well for the budget and my energy level, too. Good luck -- you're in full nesting mode now! I tried doing this a few years ago. I wrote everything in my google calendar and sync'd it with my phone. I still to this day get an alert every morning for my "chores"... except it never really stuck and its focused on our last house!!! I really should try to re-edit and figure out a schedule that actually will stick with the NEW house and having TWO kids (not zero!). Thanks for the inspiration! You should revise it to show Dust on Monday and Vacuum on Tuesday. That way when your dusting and get some on the carpet you don't have to vacuum two days in a row.